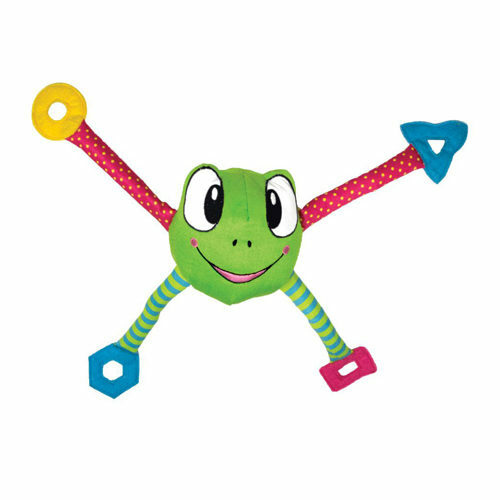 The KONG Cat - Pouncearoo has an extra large body shaped like a frog and flexible legs. The toys has an irresistible rustling sound and a healthy dose of catnip. The Pouncearoo is the perfect toy for cheerful happy house tigers. Is your cat a true hunter? KONG Cat - Pouncearoo is an extra large toy shaped like a frog with lanky legs. To make the toy even more interesting for your beloved pet, it also has irresistible rustling noises and a healthy dose of catnip. Have you used KONG Cat - Pouncearoo before? Let us know what you think about this product.